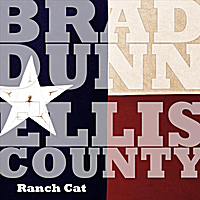 Brad Dunn and Ellis County was formed in Austin Texas in 2009. Since the band’s demo “Evidently” was released in 2010. They have been invited to open for Reckless Kelly, Micky and the Motorcars, Pat Green and Tracy Lawrence to name a few. The band has performed for the The Governor of Texas, and recently was featured at the Inaugural BBQ held on the Capitol Grounds. BD and EC recently finished recording their new album at Premium Sound in Austin, TX. The project was produced by Kevin Szymanski, who has worked with Bruce Robison, Charlie Robison, Jack Ingram, Cory Morrow, Matchbox 20 and many others. The nationwide release will be in stores April 1st.